This Christmas, visitors a major London shopping mall were offered a spine-chilling experience. Here Hidden House creator Samuel Bott tells us why scare attractions don’t just have to be for Halloween. 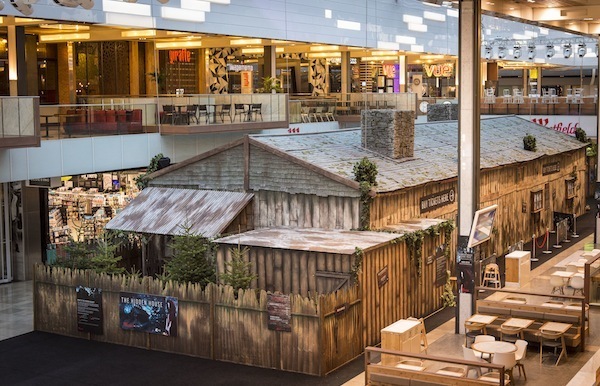 Operated over a six week period at Westfield Stratford City, The Hidden House blended classical fairytales with a dark twist, revealing the series of events that led to the sudden vanishing of Red Riding Hood. Guests’ challenge was to uncover the truth without being captured by the Big Bad Wolf! The free- flow maze was produced by Unlocked Vision, of which Samuel Bott is managing director. What was your vision for The Hidden House? 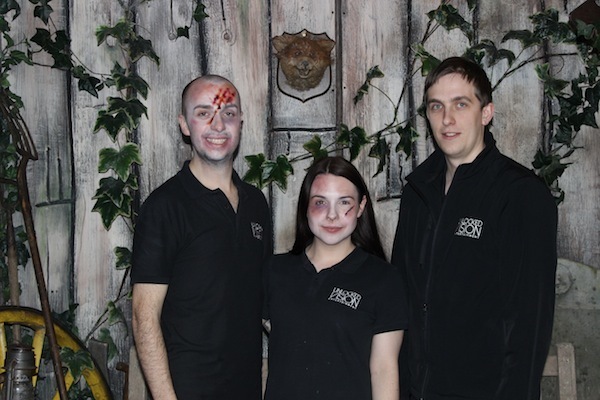 It was our intention to create something that was not a just an attraction with the emphasis on scare, but to produce instead a theatrical experience that told a complete story from beginning to end, whilst simultaneously being scary. For the 15 minutes that guests were inside we wanted to immerse them in this unique environment, and ultimately make them forget that they were in the middle of a shopping centre. We wanted to see guests running out scared, but also with a smile on their faces and a sense of not quite knowing what they had just experienced. 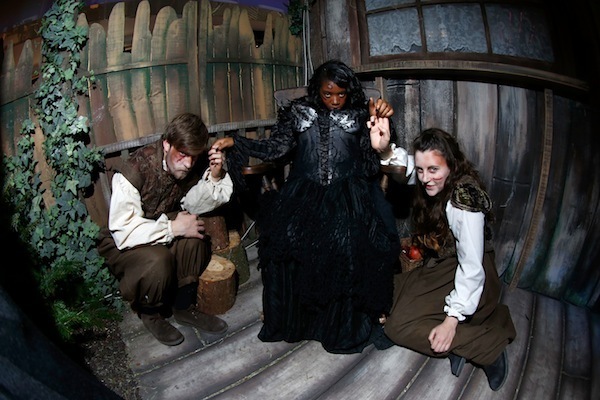 Guests are faced with important task of finding Red Riding Hood and discovering the truth about her disappearance. Inside the experience there are various choices that the guests have to make, which ultimately changes their path through the house. Will they uncover the truth and make it out alive? 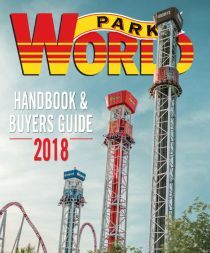 Why a Christmas rather than Halloween attraction? 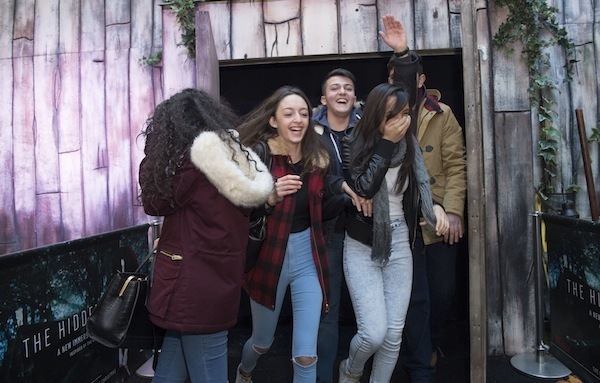 Scare attractions are still finding their feet in the UK and we are about 10 years behind the USA, where it is a multi-billion dollar industry. By producing an attraction at Christmas – in the middle the busiest shopping centre in the UK – we wanted to prove that they do not just have to be confined to Halloween. However we didn’t want to do what was expected of us and create an attraction based around Christmas itself; instead we went to the Grimm tales and put our own dark and unique twist on them. There’s a long standing tradition of telling ghost stories at Christmas; the Victorians were particularly notable for it. There is something about the dark and macabre of these stories that perfectly counterbalances the exuberance of the festive celebrations. Westfield is a prestigious venue – how receptive were they to your idea when you first approached them? Westfield were incredibly receptive and actively encouraged us to develop it for them. Initially we pitched several different concepts that had varying core levels of intensity, ranging from a children’s scare attraction based in a toy factory, to a full on extreme scare attraction targeted solely at adults. The Hidden House sat firmly in the middle of these, providing both children’s entertainment in the day, and adult scares at night. What were some of the challenges in creating the attraction? When we started creating the narrative for The Hidden House, we knew that we wanted to have a rotating cast; no one was assigned a set character and they instead changed positions every hour. 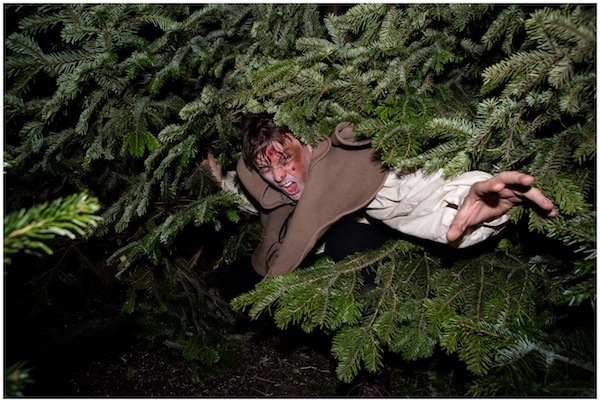 With our backgrounds in scare acting we know how physically and mentally demanding it can be, and it was important for us to keep it interesting for the cast and allow them to perform as every character. Not only that, but it meant that each actor developed their own take on the characters, meaning that guests would always be getting a different experience. One of the greatest challenges was the physical construction of the attraction. The event space that it sat in was a void over two balconies; for this reason the house had to be physically suspended from the roof. This posed a huge number of technical issues; weight, height, crowd control. Due to planning permits and regulations, we could only construct on site overnight, and to add to that we only had 10 days to do it in. How successful was the run over Christmas? When we first opened there was a definite uncertainty from the public as to what the attraction was – many people were in Westfield to shop for Christmas, and had no idea what the building in the middle of the food court was with people running and screaming from it! Fortunately, it wasn’t long before word of mouth spread and reviews came out, which lead to it being a success for both us and Westfield. 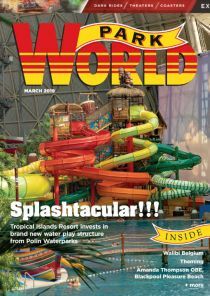 We had fantastic customer feedback and reviews from the industry, and ticket sales increased week on week. What lessons did you learn along the way? Everyday we learnt something new, and good or bad we took this in our stride. We learnt how working to the space and budget should never be an obstacle that prevents an attraction going ahead. The Hidden House taught us many valuable lessons in managing a rotating cast of 30 (11 per shift); creating quick-change mutli-purpose costumes that stood up to the needs of a physically intensive attraction was an unenviable task and one that we probably won’t take on again. In February we begin pre-production on our Halloween event in Bristol (England). Fear at Avon Valley is back for its second season this October, with Anarchy returning as the signature maze to terrify guests once more, and two brand new horror mazes opening alongside it. We’re incredibly excited about it. In March, the Unlocked Vision team is flying out to America to develop some new working relationships, and we have several high profile attractions in development that will be announced in due course.